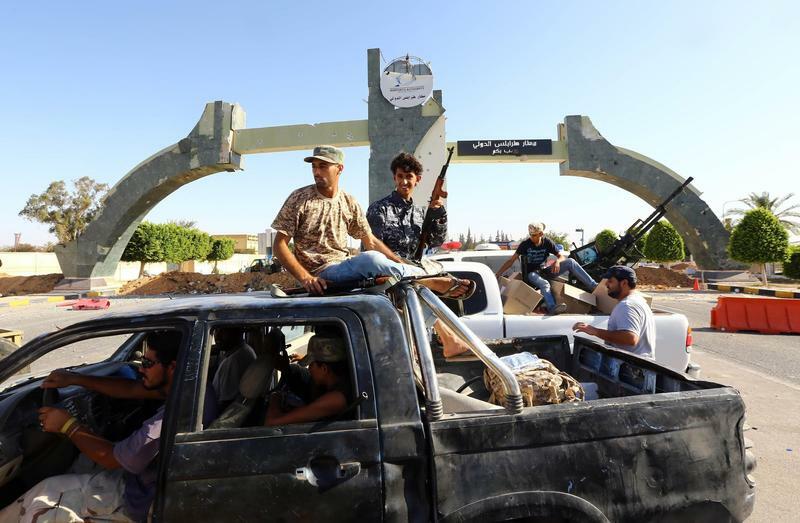 As Libya has descended into chaos, it has split into two broad camps. 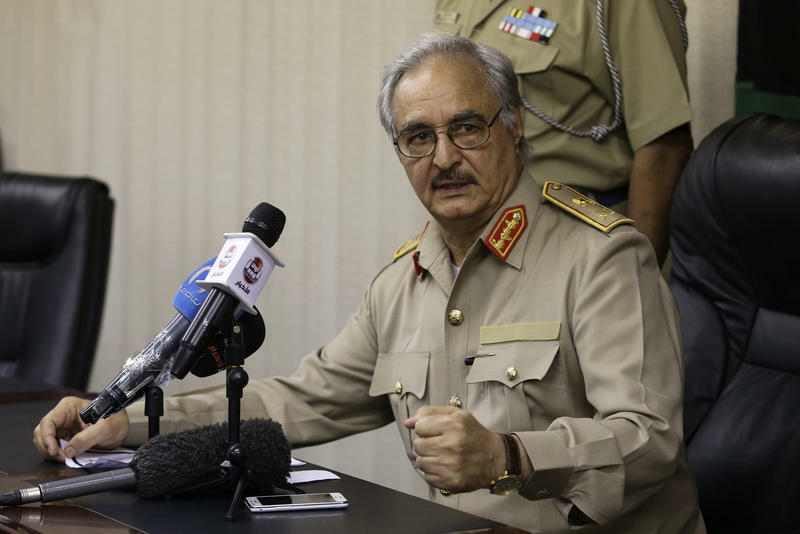 On one side is Libya Dawn, an Islamist-backed umbrella group; on the other is a renegade general, Khalifa Hifter, who is based in the eastern part of the country along with his allies. 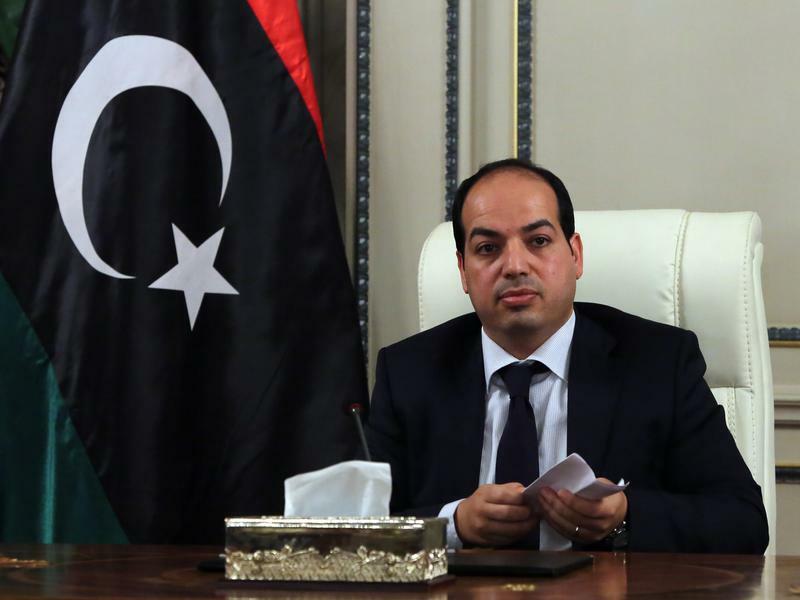 As this power struggle has escalated, it is no longer just an internal Libyan conflict. It is now being fought regionally, with parallels to other battles playing out in North Africa and the Middle East. 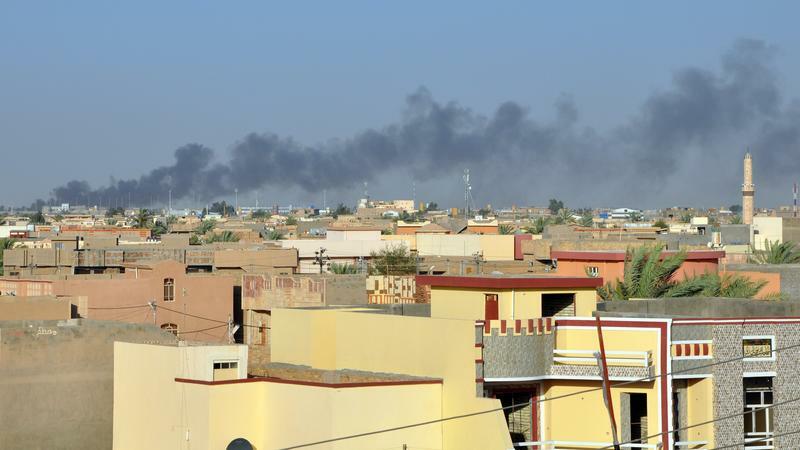 Human rights groups are accusing the Iraqi government of indiscriminate bombing. Baghdad officials deny that and note they're fighting a Sunni insurgency that commits mass executions and suicide bombings. Yet rights workers say civilians are being killed by government attacks with so-called barrel bombs — the crude weapons made famous in Syria's current conflict. Barrel bombs are illegal and indiscriminate explosives, packed in things like oil drums or gas cylinders. Abu Wissam speaks to us by phone from the northern Iraqi city of Mosul. He asks us to use his nickname to protect him, his family and his missing father before he recounts his father's kidnapping. The men came on evening of July 3, just before Abu Wissam's family was preparing to break their day-long fast during the holy month of Ramadan. "There were seven of them and before I knew it they were in our kitchen," he says. 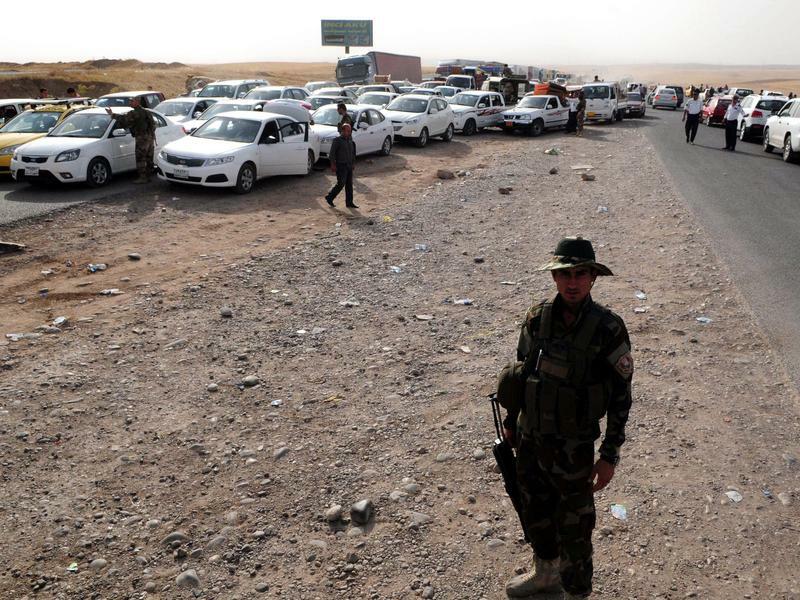 A small Sunni Arab town north of Baghdad put up a fight when Sunni Muslim extremists from the so-called Islamic State tried to impose their rule on the town. 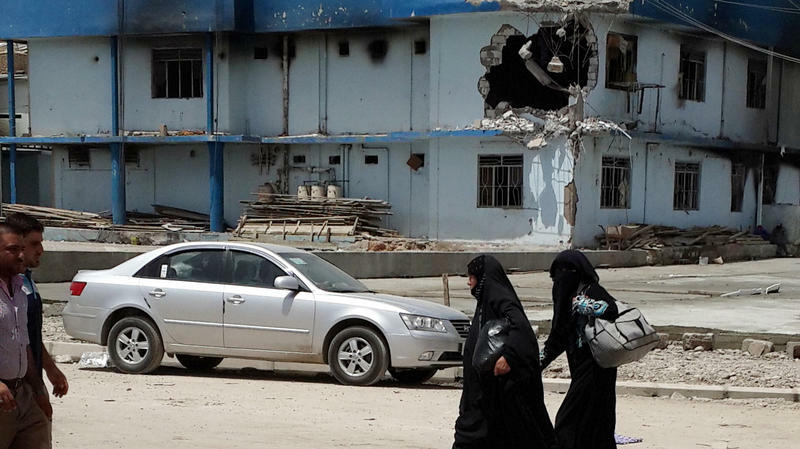 The residents lost, and now the town, Zowiya, just outside of Tikrit, is destroyed. More than 200 of its homes have been blown up, and the residents have fled. 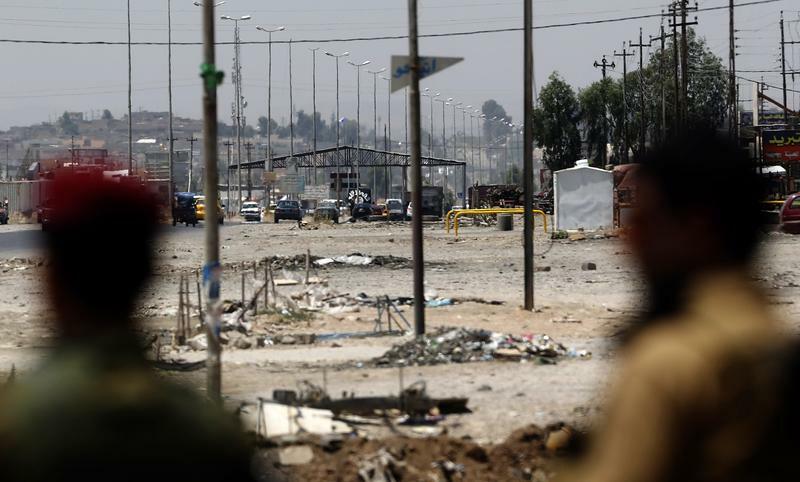 The Islamic State leveled the town as a warning to anybody else that dares to fight them. "My town is gone," says Abu Saad, a businessman in his sixties. "They bombed all our houses. Everything we have is gone." No one is safe in Libya these days. Judges, activists, human rights defenders and former officers in Moammar's Gadhafi's army are being silenced with bullets and knives. There are no formal security forces, weapons remain unsecured and the economy is foundering because rebels seized oil ports in the east. For all these reasons, a rogue general with a checkered past has found support in large swaths of the country as he vows to fight what he calls terrorist groups. As they steamrolled across northern Iraq, Sunni militants had important help from an old power in the country — former members of Saddam Hussein's Baath Party and his army. One retired air force colonel said he is a member of a newly formed military council overseeing Mosul, the large city captured last week by ISIS, the Islamic State of Iraq and Syria, and its allies from Sunni Arab armed factions. People in northern Iraq are getting their first taste of life under ISIS — the militant group known as the Islamic State of Iraq and Syria that captured the large Iraqi city of Mosul last week with shocking speed. 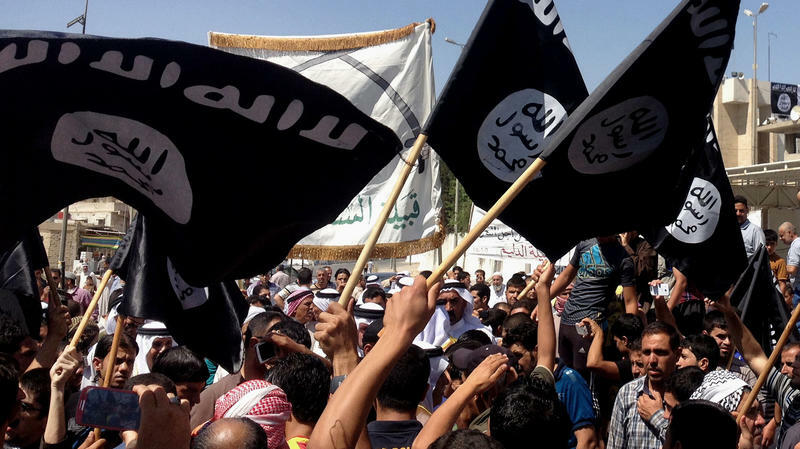 The Sunni extremist group holds much of the mainly Sunni areas of northern and western Iraq. Over the weekend it launched a bloody takeover of Tal Afar, an ethnically and religiously mixed Iraqi city near the Syrian border. In Libya, you never know from one week to the next who's going to be prime minister. And when I met with the man in the job last week, it was clear no one is really in charge. Ahmed Maiteg had only been prime minister a couple of days. He took office under the apparent protection of a militia that supports him, even as another man still claimed the job. Maiteg, a 41-year-old businessman, was so new in the building that his staff was getting lost. It was never in doubt, but now it's official. 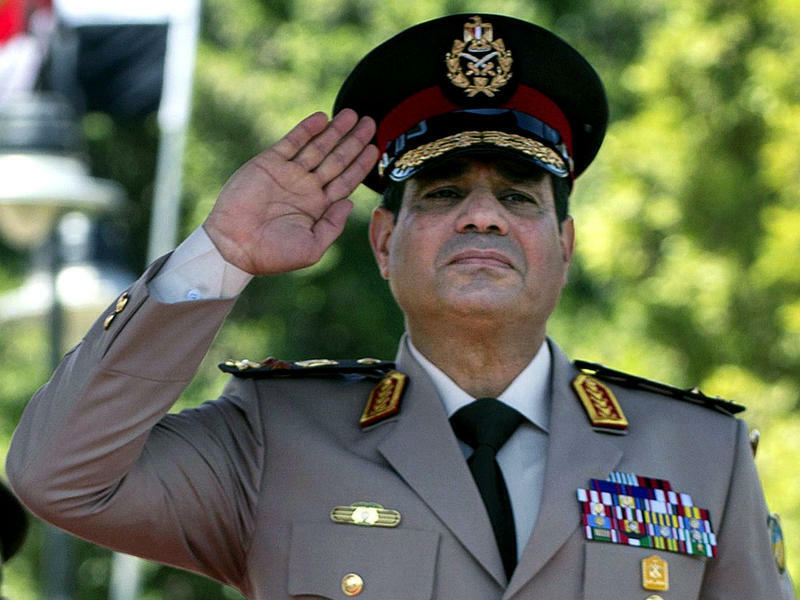 Ex-military chief Abdel Fattah al-Sisi will be Egypt's president after nearly a year of being the nation's de facto leader. He won by a landslide with more than 93 percent of the vote, according to a preliminary results. His victory was so sweeping that his lone opponent, Hamdeen Sabbahy, came in third with just 3 percent of the vote. People who voided their ballots in protest outnumbered those who voted for Sabbahy. 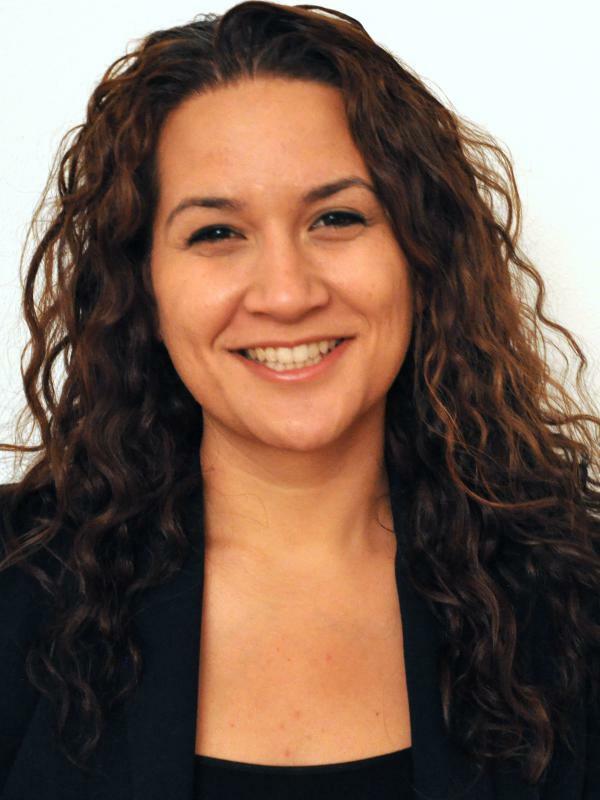 MELISSA BLOCK, BYLINE: This is ALL THINGS CONSIDERED from NPR News. I'm Melissa Block. Egypt's legal system has already been under scrutiny with a raft of high-profile cases that include two ousted presidents and scores of activists. 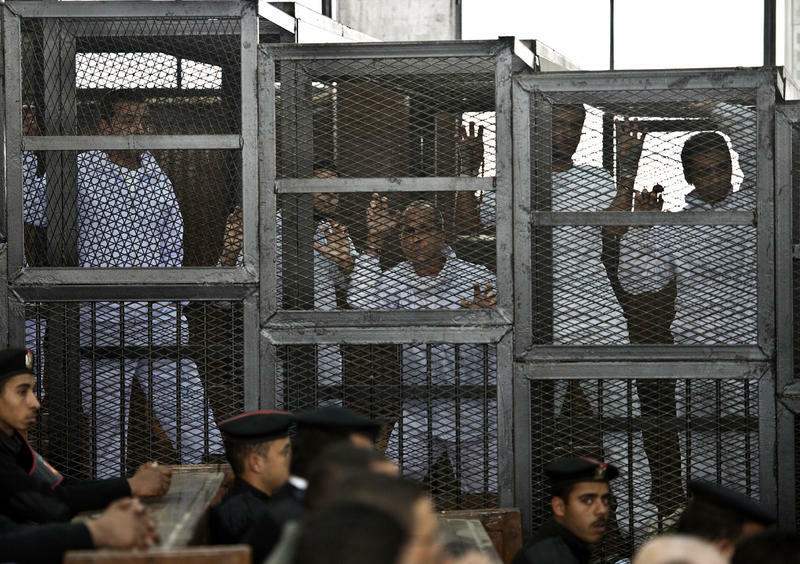 And a new wave of international criticism is building after an Egyptian court sentenced 529 men to death after a two-day trial. The judge sentenced the men for the killing of a police officer. 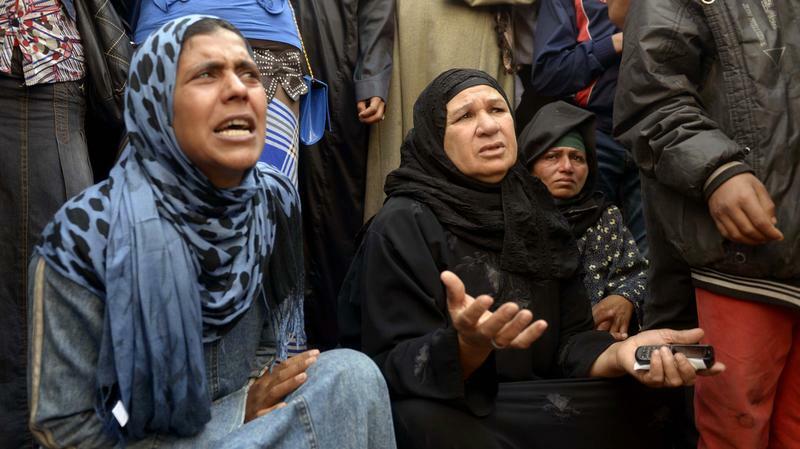 They were also charged with arson, inciting violence and other crimes in the province of Minya, just south of Cairo. Not one but two ousted presidents are on trial. In cages. As are a group of journalists from the Al Jazeera satellite channel. Then there are the countless activists facing charges that are widely seen as politically motivated. If you like courtroom dramas, Egypt is the place to be these days. And while there's no shortage of high-profile trials, analysts say one thing hasn't changed in the three tumultuous years since the overthrow of the autocratic Hosni Mubarak: There's still no guarantee of a fair trial for the accused.